Established in 1989, the primary objective of the Roatan Institute for Marine Sciences (RIMS) is the preservation of Roatan’s natural resources through education and research. 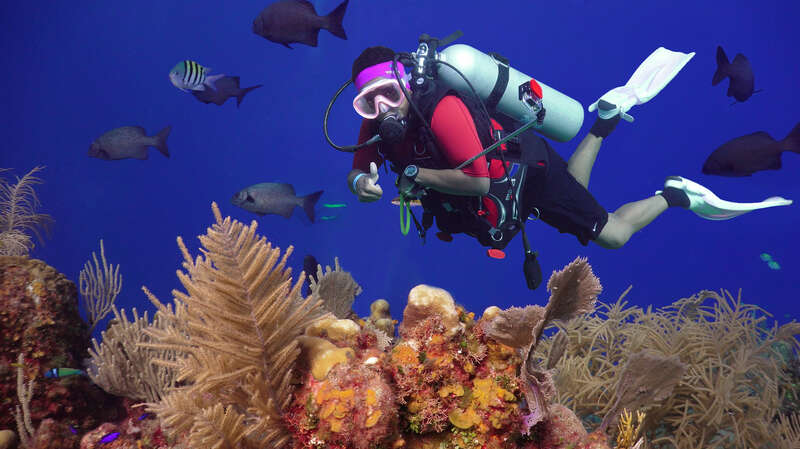 Ideally located for a marine study on the northwest coast of Roatan, RIMS is close to over 30 miles of fringing and barrier reefs, seagrass beds, mangroves, and shoreline are home to an astonishing profusion of life. Over the past twenty-five years, RIMS has established itself as a dedicated teaching institution and our facility is visited year-round by colleges, universities and high schools from abroad to study tropical marine ecosystems and the bottlenose dolphins at our facility. For many students, this may be the first encounter with coral reefs and the underwater world and Roatan’s coral reefs provide an incomparable realm of beauty, excitement and endless opportunity for study. A field course at RIMS also allows students to travel abroad, become immersed in a new culture, and experience the simple way of life that has existed for hundreds of years on this small Caribbean island. 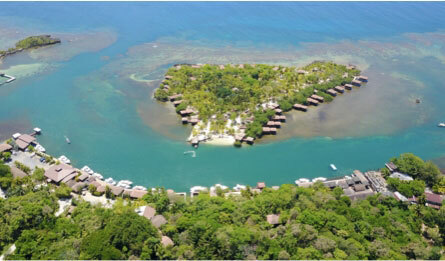 The main complex of our facility consists of the Education Center, the dry laboratory, and the Roatan Museum. The Education Center is as a comfortable and spacious classroom. It features exhibits on the coral reef, fish, invertebrates, reptiles, birds, and geology of the Bay Islands. When class is not in session, the center is open to the public and visited by hundreds of tourists annually. The adjacent museum is designed to educate visitors and locals on the rich cultural heritage of Honduras with a particular focus on the Bay Islands. Connected to the classroom is a fully equipped dry lab, and a wet laboratory is directly adjacent to the main complex. We offer our facilities at the Roatan Institute for Marine Sciences (RIMS) to university and high school student groups for research programs such as marine research programs, coral reef, oceanography, biology, etc. Special resort package rates are available to students participating in a structured program and escorted by a professor. Student groups will have access to all resort amenities, including the full-service dive shop, underwater photo center and hyperbaric chamber and medical clinic. The proximity of living and working conditions is ideal and maximizes the effectiveness of the program. A minimum of 11 students is required to conduct a group. The professor receives a complimentary land package for every 11 paying students. 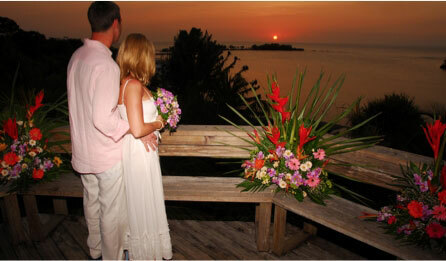 We have offered several familiarization trips in the past, which allows professors and instructors to visit our resort. These trips give you a chance to see our facility, meet our staff and familiarize yourself with the marine habitats. Ideally, a visit to our facility is encouraged before your arrival. If you are interested in bringing groups in the future, please contact the Education Coordinator. We invite you to visit RoatanIMS.org where you can download our free RIMS Guidebook for Instructors. This comprehensive 78-page PDF file features a wealth of information about our facilities, programs, and research initiatives as well as a complete guide to planning a course with us for your student group. Spending as much time as possible in the marine environment is the way RIMS teaches. By far, the most useful educational tool we offer is the reef itself. Live and work at our facility and engage in a wide variety of activities to gain experience and skills that will aid your career in marine science. For further details, follow the link below to learn more.